The magneto is a type of electric generator that uses magnets to generate an electric current. Magnetos have traditionally been used in aviation piston engines, keeping the ignition separate from the batter and charging system, keeping the engine running in case the battery fails. 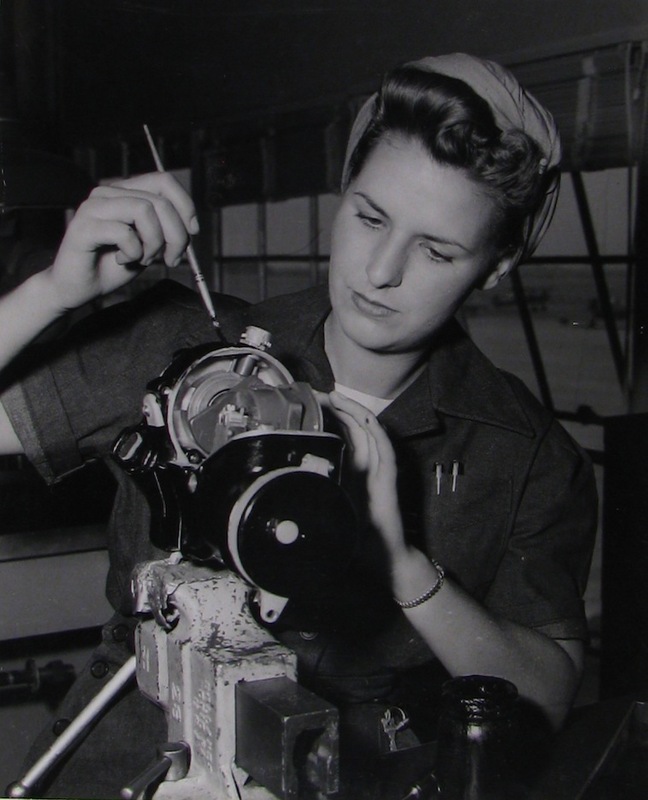 Aviation machinist’s mate Dorothy Wuester is using a paint brush to work on the magneto in the engine machine shop. Today’s entry in our series of photographs of WAVES at work in the Naval aviation was taken at Los Alamitos Naval Air Station in September 1943. Los Al is close by me… While it is now a joint base, it is wonderful to see how it helped in our war effort back then.